Please join us for this free concert at 3:30pm and for Palm Sunday Mass at 5:30pm. This is an opportunity to hear some beautiful music to start Holy Week. 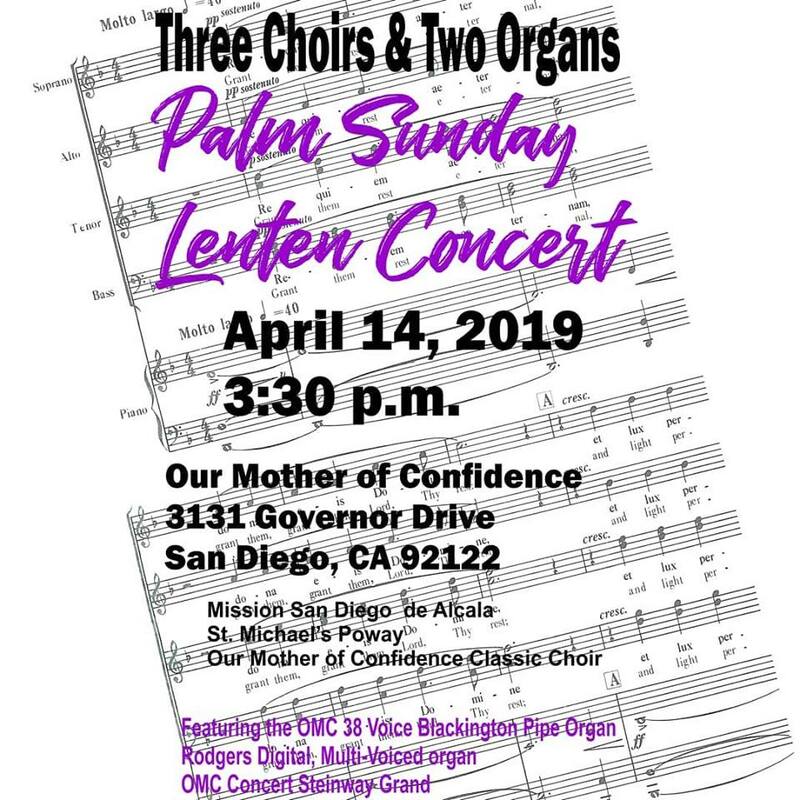 We will have choirs from Mission San Diego de Alcala, Saint Michael’s Poway, and Our Mother of Confidence joining together with two organs and a Steinway Grand Piano for a memorable musical event.